As a practicing psychoanalyst for the past 30-plus years, I have sought to integrate the wisdom from many mentors. My supervisors and training analyst guided me through the collected works of Freud, Klein, Winnicott, and Spotnitz. While writing my doctoral dissertation on clinical psycholinguistics, I learned of the work of Jacques Lacan, a French psychoanalyst. The more I read of Lacan’s ideas, the more fascinated I became with his unique take on the role of language for shaping the mind and the practice of psychoanalysis. Equally intriguing were the stories about Lacan, the man, who fought to promote a view of psychoanalysis that dared to challenge the prevailing orthodoxy of the psychoanalytic establishment. Psychoanalysis has been fraught with in-fighting, exclusiveness, and dogmatism since its inception, which bears an embarrassing irony toward unresolved Oedipal feuds. Fortunately, my training had encouraged an appreciation for psychoanalysis as one of the humanities. Art, literature, religion, culture, philosophy, and music are all expressions of the human experience that are essential for venturing into a serious consideration of the psyche. Lacan’s masterpiece, simply titled, Écrits, included discussions of all of these topics and more. Certainly his writing is dense and difficult; yet, I found it compelling as a source of provocative ideas and observations. A learned colleague once warned me that life is too short to read Lacan. In fact, most of my colleagues have shared similar negative biases, although they had never read his work themselves and relied, instead, on second- and third-hand critiques. Like most contemporary textbooks on psychology that summarily dismiss Freud out of ignorance or misinformation, these colleagues were content to preserve their allegiance to a particular school of thought. Some Lacanian theorists have since become a somewhat esoteric group in the US, often adopting an obscure and cryptic style, perhaps in homage to the master. Whereas Lacan’s concepts are complex, both philosophically and logically, my reading of his work suggests that he sought to promote creative and relevant applications by clinicians, not to develop sycophants. As an addition to Freud’s structural model of the mind consisting of the Id, Ego, and Superego, Lacan proposed that our subjective experience is contextualized with regard to how phenomena become registered in the mind. He identified three constituent contexts for the mind: the Real, the Imaginary, and the Symbolic. Broadly described, the Real is fundamentally a derivative of our senses, the Imaginary is derived from perceptual and fantasied mental processes, and the Symbolic is derived from culture and through language. These registers function as interlocking systems of knowing that collectively form one’s sense of awareness. With the premise of these mental registers, I will attempt to describe Lacan himself. The Real Lacan was a man trained as a psychiatrist in the first half of the twentieth century. He appeared as an intellectual and scholar who studied philosophy, art, science, medicine, and politics, as well as psychoanalysis. His personality is described as intense, passionate, and charismatic. Reportedly, he successfully obtained the release of his wife from Nazi custody by charging into Gestapo offices and demanding her immediate release. The Imaginary Lacan is the one we know as we read his words. The thoughts and questions that emerge as the reader forms associations to his ideas and through his playful use of words that tease us to push our thinking a bit further. The Symbolic Lacan is a provocateur of psychological theory. The word “Lacanian” has come to represent courageous and radical commitment to understanding the depth and vastness of the human condition, with full acceptance of the impossibility and ineffability of that task. Whereas Lacan is mostly known in the US in terms of applications to literary criticism and socio-political theory, he is considered one of the most influential psychoanalytic thinkers in Europe and South America. Regardless of the difficulty that some of his ideas pose, the questions he raises about self-authenticity and one’s capacity to retain sanity in a civilized society has never been more timely. 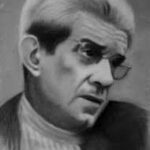 To learn more about Lacan, see Jacques Lacan: Introductory Overview.